Good news for Bob Dylan fans: a follow-up to his acclaimed 2004 book, Chronicles: Volume One, is in the works. "Let's hope [it happens]," he tells Rolling Stone Contributing Editor Mikal Gilmore. "I'm always working on parts of it. But the last Chronicles I did all myself. I'm not even really so sure I had a proper editor for that. I don't want really to say too much about that. But it's a lot of work. I don't mind writing it, but it's the rereading it and the time it takes to reread it – that for me is difficult." 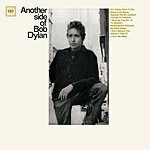 Dylan says that the first Chronicles began when his label asked him to write an essay to accompany a new compilation album of about 50 of his old songs. "I really didn't want to," he says. "But then I was thinking it would be a good opportunity to say some stuff about this period of time in maybe '62 to '63. I walked off The Ed Sullivan Show when it was real popular in America. I wanted to take myself back to that time and relive it." Ultimately, the project took on a life of its own. "I stumbled into a strategy of going into the future and into the past," Dylan says. "I was writing about the Freewheelin' Bob Dylan album, but I didn't use that. In Chronicles I used [1989's] Oh Mercy because it was more interesting to me. I still have the other piece for Freewheelin' – most of it – and I can definitely make it bigger. That's one of the aspects of Chronicles Two and Chronicles Three. It would definitely start with records. " The plans are far from concrete and will probably change as he begins to write. "The whole early part of the first Chronicles was supposed to be based on some old record – maybe Another Side of Bob Dylan," Dylan says. "I don't know. I'm not familiar with what's on all those records. But someplace in the 1960s. I was going to use that in a record, and then I could go into the future. Well, what happened was that I kind of lost the thread of what I was doing, and kind of just stayed there, and didn't really go into the future. When I started writing about the early days in New York, I found it all extremely interesting. When you start doing that, it amazes you what you uncover without even trying." Han är fantastisk. Som han pratar. Det är njutning bara att läsa. Sen att det även innebär Chronicles two, och three! Vilken grej. The more I die, the more I live. Någon borde sitta och lira lite plattor med Bob. Hans egna plattor! Men om han nu fortsätter skriva om sin karriär så lär han ju tänka tillbaka, kanske till och med lyssna. Men efter första boken så blev ju resultatet snarare tvärtom om man tänker låtvariationsmässigt. "Let's hope it happens" och "I'm always working on parts of it" låter inte särskilt definitivt. Hur mycket jag än vill ha en andra del, kan jag inte se dessa vaga uttalanden som grund för omedelbar optimism. Jag är i alla fall glad att han inte verkar ha helt glömt projektet. Du ska alltid vara så korrekt. Men du har ju rätt. Tyvärr. "Let´s hope" ? Vafan, han har ju skrivit på kontrakt för 6-7 böcker, va? Bob Dylan is at work on the second volume of his autobiography, his publishers Simon & Schuster have confirmed in the wake of his Pulitzer Prize citation this week. "But power and greed and corruptible seed Seem to be all that there is"
"Since the legalization, Monsanto has charged Brazilian farmers 2% of their sales of Roundup Ready soya beans, which now account for an estimated 85% of the nations soyabean"
Fattar inte varför den länkades till från ER idag. The man in me will hide sometimes to keep from bein seen. But that's just because he doesn't want to turn into some machine. Undrar ... om Vol 2 är pågång äntligen kanske måste de göra ett nytt omslag med vackra bokstäver i guld med Nobels Pristagare i Litteratur 2016 eller blir det redan på Vol 13?